The recent video for “Baecation” is what you get when you mix the 2Baba’s romantic sentiments with D’Banj’s sensual intentions. The pair have spent most of their careers making love songs and seem prepared to keep doing so even after getting hitched. Over the mid-tempo beat Shizzi produces, mixing traditional drums, horns, vocal samples, percussion and D’banj’s signature Harmonica harmonies, 2Baba and D’Banj promise their lovers a good time they’d never forget. 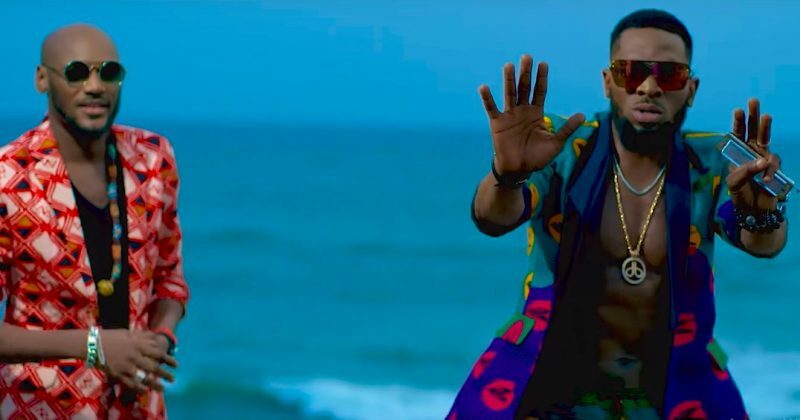 The music video Sesan directs is set in a futuristic universe where 2Baba and D’Banj provide virtual vacation services that whisks the two unassuming patronizers to party on an island. Their “Baecation” eventually comes to an abrupt end when the generating plant that powers the VR equipment overloads. You can watch the music video for “Baecation” below.